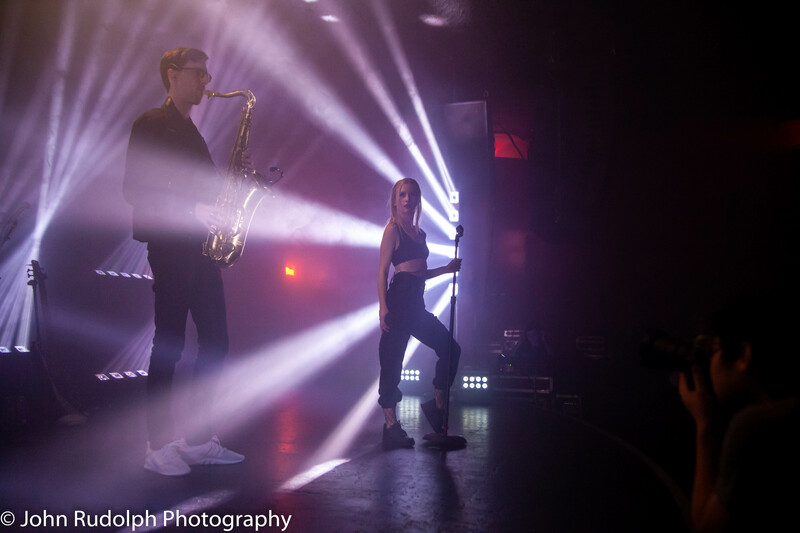 On April 18th, Marian Hill (Philadelphia’s Samantha Gongol and Jeremy Lloyd) brought a thumping dance party to the Showbox in Seattle, and the crowd devoured every beat the duo pounded onto their chests. Singer and songwriter Gogol may be small in stature, but she is huge in presence. 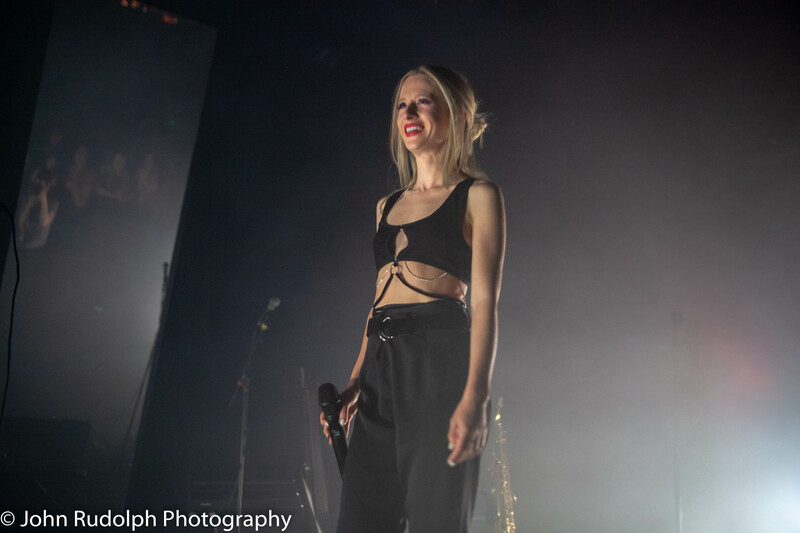 Her clean, pure voice is the first thing that the crowd and I noticed, and it’s no wonder Marian Hill’s song “Down” was flatteringly used by Apple and the Seahawks. 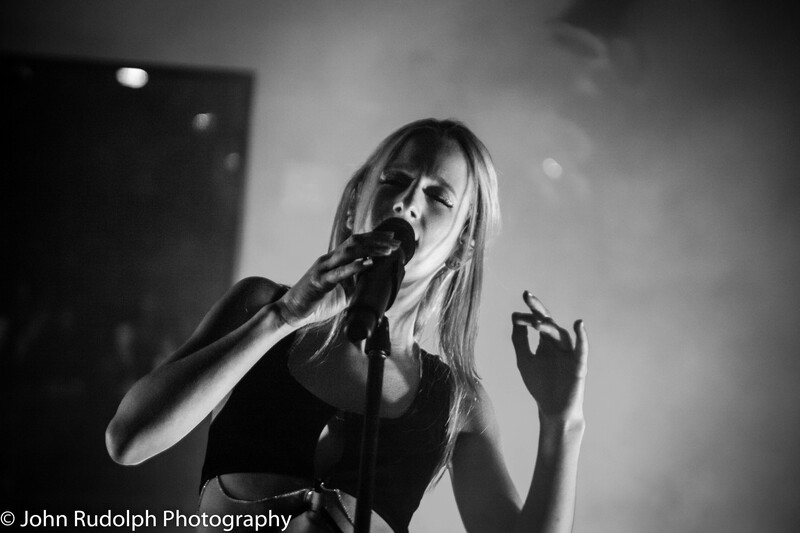 Their third record, Unusual is available now for preorder on their website, Marian Hill Music. Written by: John on 04/20/2018. Last revised by: BBS, our reviewer, on 04/21/2018. 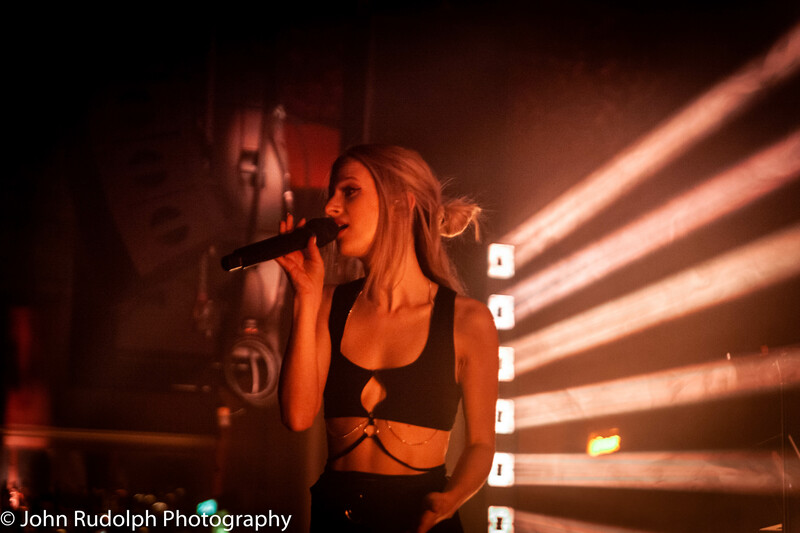 This entry was tagged Beats, Club, Dance, Marian Hill, Party, Photos by John Rudolph, Rave, Singer. Bookmark the permalink.